Stewart Garden Palladian Planter 50cm - Black - Designed for outdoor placement on a patio, decking or balcony (or indoor) pre-moulded with conical shaped plastic drainage spikes. These drainage spikes allow gardeners to cut to varying heights at the base of the pot, giving added control over plant watering and drainage. 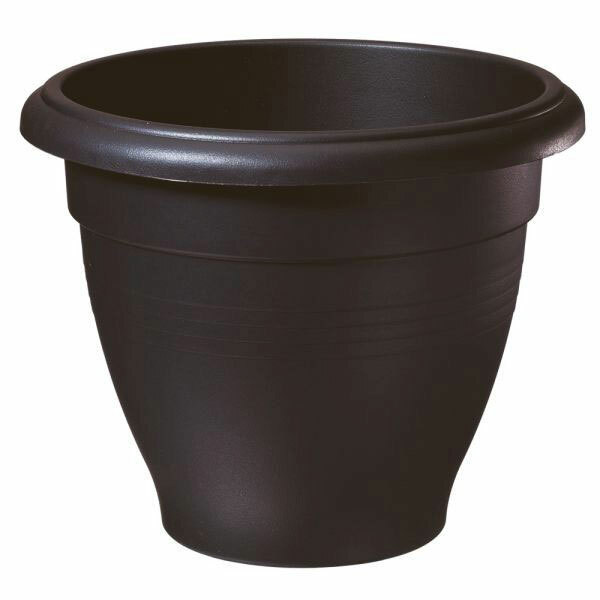 This 50cm Palladian has a 41cm depth provision to cope with plants that require growing space. Flower displays are to be enjoyed with the Palladian range of planters, available in a large range of sizes and colours. Frost proof and UV resistant (no colour fade) due to high quality durable plastic construction.